Test Automation or Automated Testing: Testing Computer Software or Mobile Software using any Automation tool or Automation script. • Create Tests / Test Scripts using Test Tool IDE features and Programming features. • Executing Tests (Single Test or Test Batches). • Debugging Tests if required. • Analyzing Test Results and Reporting Defects. i) Test Automation requires lot of efforts at initial stage. ii) 100% Test automation is impractical. (Generally we try to automate maximum Test cases, not all Test cases, for some Test human user observation is required. iii) All types of Testing not possible (Ex: Usability). (We can automate Functionality tests, Performance Tests but not possible to automate tests that verify User friendliness of the System(AUT). v) Tools may have their own defects. (Test tool also a Software, it may have its own defects in it, so that we may not achieve desired benefits). vi) Programming Knowledge is required. (Every Test Tool uses any one of the Programming languages (Example UFT supports VBScript, Selenium supports Java, Perl, PHP, C#, PHP and Ruby) to write Test scripts. So in order to create and edit Test Scripts Programming knowledge is mandatory. vii) Test Tools have Environment Limitations. 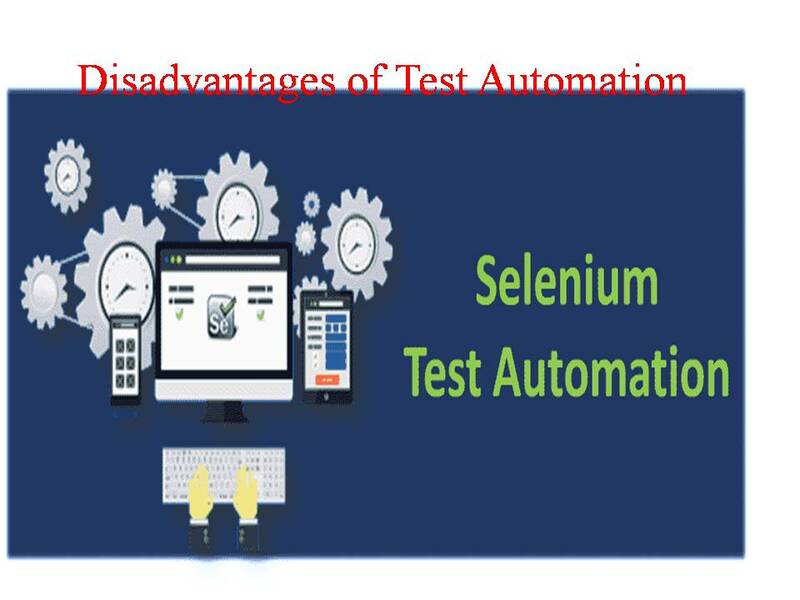 Selenium Supports Web Application test automation only, doesn’t support Desktop / windows based applications. viii) Not suitable for dynamically changing UI designs. Test Tool: A Software that used to automate Software Test process. Test Tool is one software, Application Under Test (AUT) is another software. Debugging: Locating and Isolating errors through step by step execution.